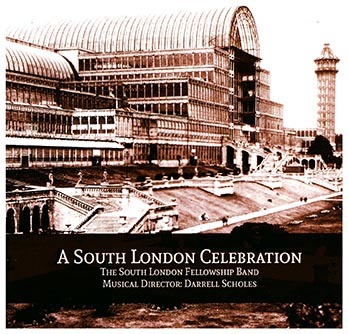 The Band’s concert with the South London Divisional Youth Band, reported on in our last edition was the first time that the two bands had participated together. How different then was the next concert, held at the United Reformed Church in West Wickham, for this was the twenty second annual concert to be held at this venue which in many ways has almost begun to feel like home. The audience on these occasions is always welcoming and most enthusiastic in its response and appreciation of the programmes which we present. This year was no exception as at the conclusion of the first item, ‘Hail the Risen Lord’, the appreciative applause was in evidence. Down through its history the Band has brought into play many excerpts from the classics and this occasion was no exception as the following item ‘Soli Deo Gloria’ arranged by William Himes clearly demonstrated . The concert with the Youth Band was the last occasion that Derek Fairman played with the Band before entering the ‘alumni’ list after a long and distinguished period with us which we shall remember with affection and appreciation. However, time moves on and although many of our previous concerts at West Wickham have featured soloists who are not members of the Band this year the Bandmaster decided to include soloists from within the Band. Firstly the euphonium duet ‘Brillante’, an arrangement on the melody of Rule Britannia in which Derek’s successor Simon Birkett, together with our principle euphonium Adrian Horwood, whose energy we have long admired, matched each other perfectly to produce a scintillating performance which was greatly appreciated by Band and audience. A break from purely brass was introduced by the Band singing the old favourite ‘Sound the Battle Cry’ which is still to be found in the new song book (981!). The second soloist was John Rodgers who brought some well-earned calmness as he played the Eb tuba solo ‘He Wipes the Tear of Every Eye’ before we were jerked back into the enthusiastic rendering of James Wright’s ‘Fantasia for Children’. On previous occasions the percussive cacophony has been in the hands of Steve Wood, but this time Nigel May left the safe confines of the Bass section to deputise for the evening and demonstrate his own way with such devices. We have commented in the past on Steven Ponsford’s composition ‘Music of a Legacy’ and once again the Band reacted well to the demands of the music as it reminds us of much of the inspiration felt by and demonstrated by Salvationist composers down through the years. While the collection was being taken the Band was dismissed for the interval break. A feature which brought great relief to some! The second half of the programme commenced with bright march ‘Southern Australia’ in which the Band’s playing demonstrated once more its versatility and control of intensity coupled with the need for a controlled approach to quieter dynamics. This was followed by Howard Davies’ Suite ‘On the Road’ and then the arrangement of the Londonderry air which featured in the film Brassed Off. This sensitive arrangement began to bring the evening to a more thoughtful conclusion, firstly the scripture reading and comment presented by Bev Hudson followed by the quiet reflective words associated with an arrangement of the melody connected with the song Now I Belong to Jesus, Jesus belongs to me. So ended another memorable occasion but not before the Band signed off with Brian Bowen’s classic ‘My Comfort and Strength’ with the words The God of love my shepherd is continuing to linger in the mind.